The observations of an animator. 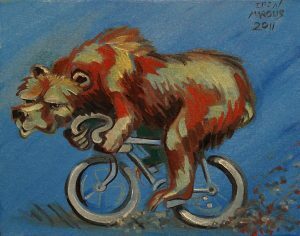 Those bears can be fast, and once they get wheels, they get mean. If you still want a print of this, you can get one, just click the image.